Hotel giant Marriott has announced plans to open four new properties in Mexico in 2017 and 2018. The Westin Puebla will open in the second half of 2018 and two additional Westin hotels are under construction in Cozumel and Monterrey, expected to open in 2017 and 2018, respectively. The hotel will feature 142 rooms, a spa, fitness center, a pool and restaurants providing a variety of healthy options. 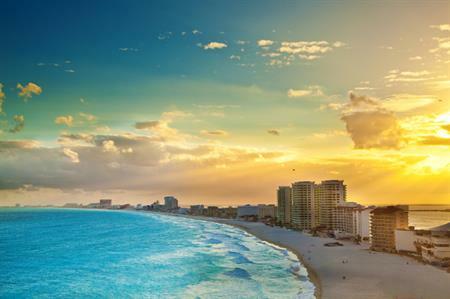 A Renaissance hotel will be introduced in Cancun, to include 445 sqm of meeting space. There will also be 180 rooms, an 18-hole golf course,115 retail outlets, restaurants, and cinemas. Aloft Puebla, which will open in 2018, will join the two existing Aloft hotels in Guadalajara and Cancun, featuring 100 loft-style rooms. The final planned edition will be the 168 room AC Hotel by Marriott Monterrey set to open in Valle Oriente, Monterrey.